Download these images as posters. Download these images as postcards – front. Download these images as postcards – back. 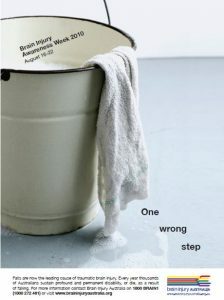 A selection of falls-related brain injury research. 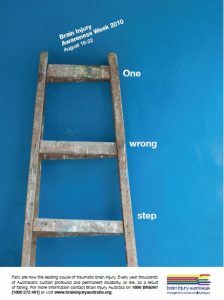 A new joint initiative of Australian, State and Territory consumer affairs agencies and the Victorian Department of Health and Human Services, encourages “older men to consider the consequences before engaging in risky ladder use”. Do you neeed legal help with your brain injury?